Tired of working simply for that paycheck? Interested in a Rewarding Career in Health & Healing? Then a career in Massage and Bodywork may be for you. Get started with our Exceptional Education and Experience the Benefits of Excellence. 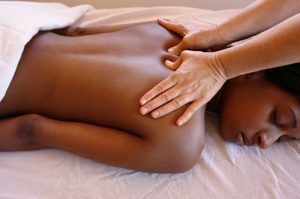 Train as a massage therapist in as little as 7 months with the skills, with the excellence and knowledge needed for a successful career. Ready for CEU’s? Learn the most exciting techniques in our wonderful hands-on format! CEU SCHEDULE IS NOW ONLINE! School is temporarily closed while we are resting and recharging our batteries from April 18th to Monday, April 29th towards a great Summer Term. Be sure to leave us a message by phone or submit an info request below and we will be in touch soon! We will return messages and be open for tours and enrollments beginning April 29th at 9am towards our Term start date of May 6th. The Bodhi Tree Center for Healing Arts is a licensed massage school located in Northern Nevada. We combine a strong core 650 hour program with a wide-range of electives to choose from to complete your education that emphasize a holistic approach including Aromatherapy, Floor Shiatsu, Biodynamic Craniosacral Therapy, Holistic Massage, Energy Healing, Shamanic Massage, Acupressure, Tui Na, Medical Massage, Oncology Massage, Pregnancy & Infant Massage, Sports Massage, Reflexology, and many more. We also provide continuing education courses as well as massage and healing workshops that are open to the general public as well as massage and healing practitioners. Why Choose The Bodhi Tree for Your Education? Unlike many other massage schools, The Bodhi Tree Center is often able to take in your prior education and apply it to ours! Call for info. Spring Break notice! We are resting and recharging our batteries from April 18th to Monday, April 29th towards a great Summer Term. Be sure to leave us a message by phone or submit an info request below and we will be in touch! We look forward to serving you shortly! To see if The Bodhi Tree Center is the Massage & Healing Arts School for your educational needs, Request More Info or Call 775-884-1145 to schedule a tour of our school. Thanks for getting in Touch! Our beautiful massage clinic features massage and bodywork by the skilled students of our Massage Program. Students in our massage clinic are at various levels in their training. All of our students working in the massage clinic have passed a practical exam in order to gain admittance. Prices for our student massages are $30 for a 1-hour massage. 1 1/2 -hour massages are also available. Call 775-884-1145 for more information about our programs. We have a very high Pass Rate for the MBLEx licensing exam! Come in for a Tour – We’d love to show you what we do. Call us at 775-884-1145 to schedule your personalized tour. The Bodhi Tree Center for Healing Arts is located in Carson City, Nevada, right off of highway 50, close to the greater Reno / Lake Tahoe area.